Why can't you stop playing this Easy Halloween? 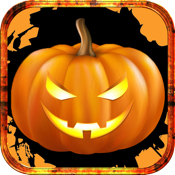 Come on, it's time for us to play the Treat or Trick！ Be addicted to this glorious and easy Halloween game! Boost your fun with breaking more Halloween balls and Multipliers. Break as many as you can to reach higher score. Challenge your friends to beat your highest score. Own the top spot on your daily leader board. Fill your stats to become the ultimate Easy Halloween master and earn bragging rights galore. - Just tap two or more balls of the same color. 2. Try to clear all balls, which brings you a lot bonus.